We provide opportunities for volunteers to assist in various facets of our programming and in fundraising and community outreach. Please contact Rachel Middlesteadt Ellerson at RachelM@unc.edu if you are interested in volunteer work. 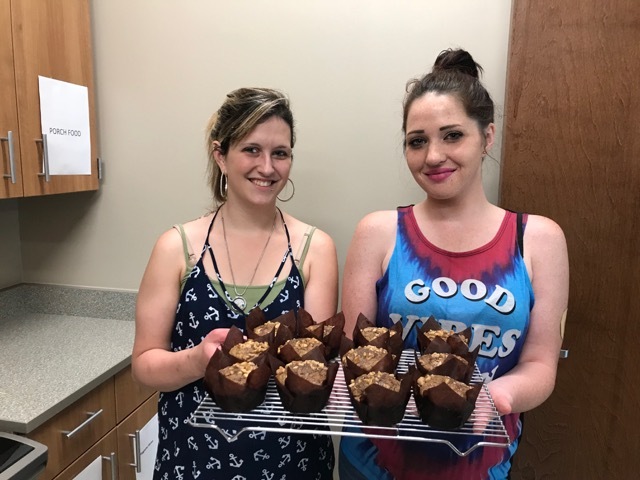 Two women from the UNC Horizons Program display muffins they made with volunteer Ashley Wilson. The muffins are sold in local eateries.